33 Degrees Worldwide was founded by Julie Hall-Clarke in 2002 after a period of living and working in marketing in London. During her time there she saw the potential of a niche business providing specialist promotion marketing consulting services back in Australia focussing on experiential prizes. The team has since grown into a tight-knit group of smart, friendly, focussed and savvy marketing and travel experts who really know their stuff, are well-connected and have a keen sense of humour. At 33 Degrees, our people are our difference, so we’re committed to nurturing their talents and helping them build a rewarding career. Julie is a creative thinker, marketer, problem-solver, juggler and mum of three. 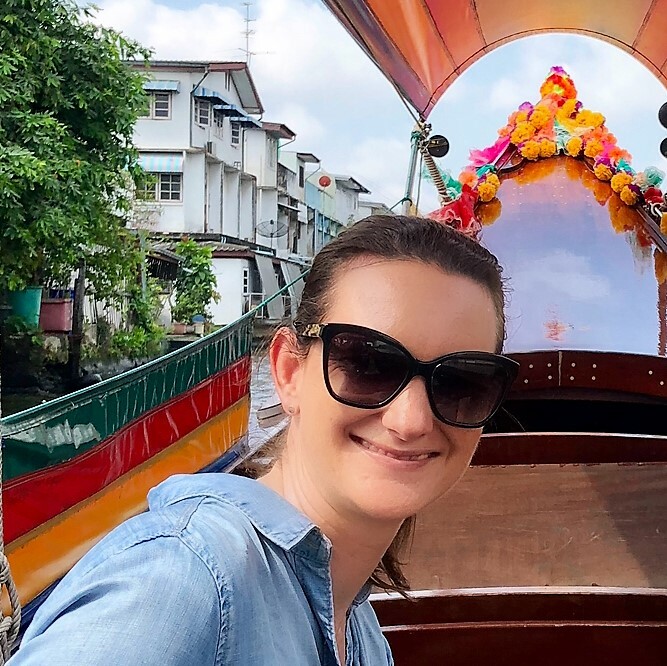 In her marketing career she's been fortunate to travel to amazing places and has built an enviable collection of tourism contacts across the local region and internationally. Never one to shy away from a challenge, Julie loves tackling the big, juicy, tricky briefs that clients throw at us. After sharing her life goals with us, Laura is living and working overseas for two months this year to feed her love of travel. By supporting her passion to ‘Live a life less ordinary’, Laura is living the life she wants without compromising her full-time, Sydney career. Attending famils and conferences and hosting groups around the world is quite a contrast to her former life as a lawyer, but Laura is a chameleon and has quickly built an amazing network of global connections while working with 33 Degrees. Mel loves exploring amazing destinations around the world that are off the beaten track. Preferring the 'road less travelled' and with a keen sense of adventure, you’ll usually find Mel in the ocean or exploring the great outdoors. With a background in brand activations, product launches and live music events Mel is the ‘go to’ for all things events at 33 Degrees. It’s not unusual to one minute see Mel doing the heavy lifting for an event (in fitness gear) and the next glammed up (to the nines) rubbing shoulders with the likes of Oprah, Lorde or Lady Gaga. Gabby has been with 33 Degrees since 2005. In fact we can’t really imagine what 33 Degrees would be like without her. We don’t even like it when she’s away from her desk travelling and we count the days until she’s back. With her two children now almost all grown up, Gabby is embracing more responsibility within the business, and is thriving in a bigger role including heading up all winner management services. She’s happiest with a glass of Bolly in hand and she’d be the first to admit it. Rhonda has travelled the globe extensively and has worked for hotels and agency-side giving her valuable insights into the industry from differing perspectives. Whether it’s hosting a group incentive, managing a corporate hospitality facility, talking helicopters or race cars or the next emerging destination for incentives, she’s someone you want on your team. Rhonda usually has a camera within arm’s reach and it secretly bothers us that she gets more artistic and well-composed photos than the rest of us. But don’t tell her that! Susie first worked with 33 Degrees in 2007, managing the business while Julie juggled a two year old and twin newborns. Prior to that, Susie was a client, working for a respected promotion marketing agency that was one of 33 Degrees’ very first clients. Susie left 33 Degrees on Julie’s return then went on to work client-side for a major cosmetics brand, had a beautiful daughter of her own and then serendipity brought her back to us 10 years later to embark on a new adventure together.